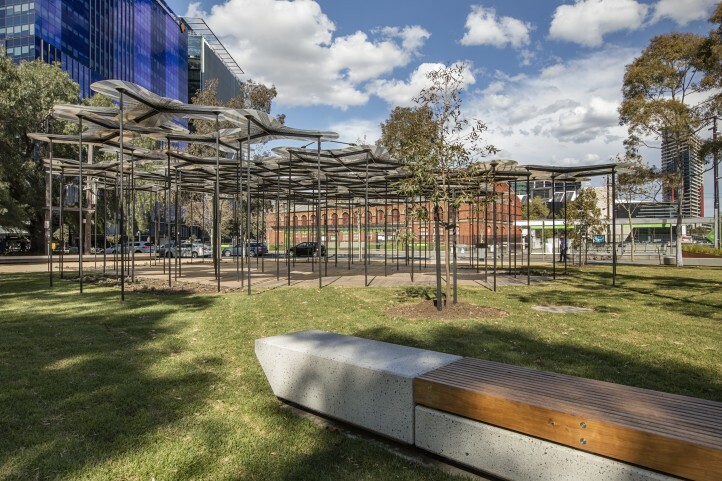 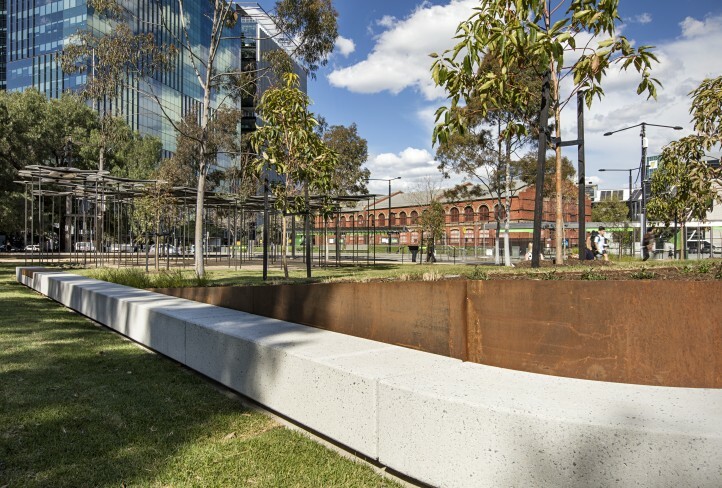 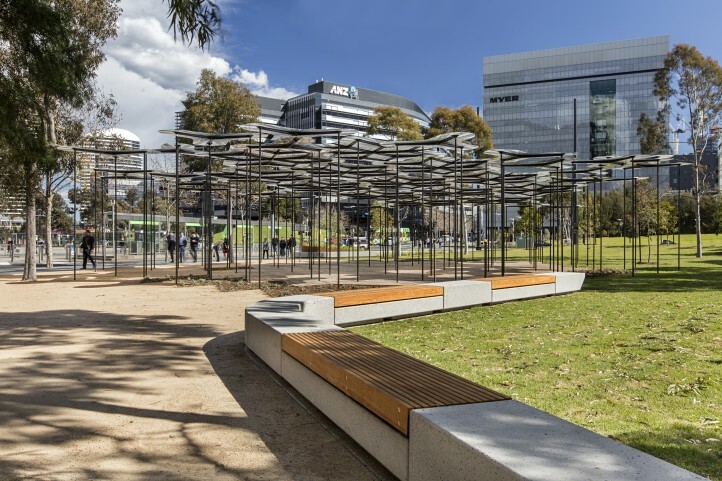 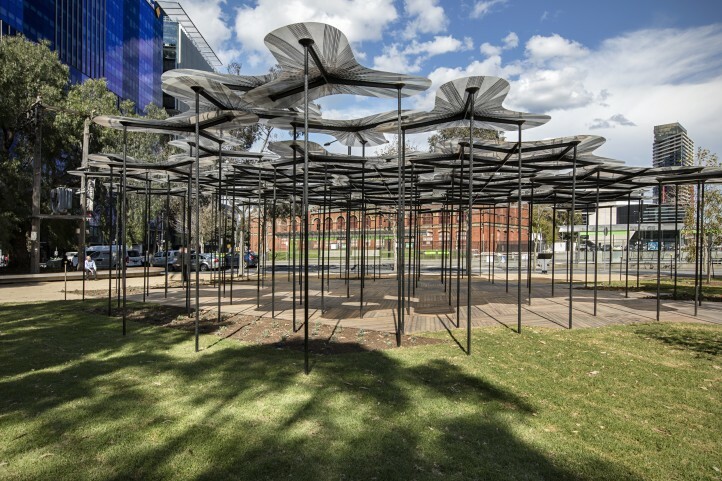 The 2015 MPavilion was gifted to Places Victoria from the City of Melbourne, and Maben Group facilitated the relocation of the MPavilion from its current position in the Queen Victoria Gardens to a new permanent site location at the corner of Collins Street and Harbour Esplanade – Dockland’s Park. 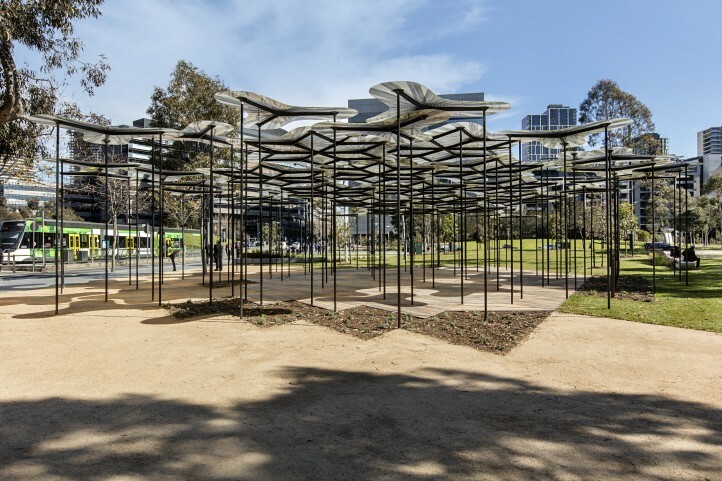 The new MPavilion site structure incorporated precast and timber seating with a new circular deck seat and concrete ribbon seat wall featured beneath a large 100-year-old peppercorn tree. 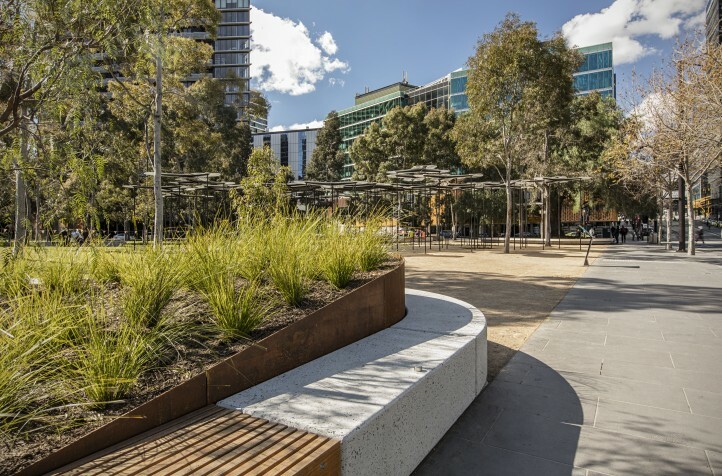 Landscaping works included generous grassed areas and gardens, with a tilted lawn and modern ha-ha wall to create a natural amphitheatre to the MPavilion.